Travelers are the luckiest people on earth - for they dare leave the comforts of their homes and move about in unknown lands, with people speaking unkonwn langauages. But the avid and determined travelers find their way out and reach out to places either never visited or least visited, besides favourite travelling sites. 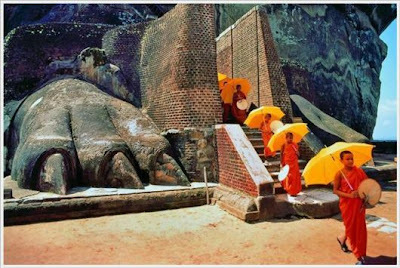 Of the least traveled sites, though well traveled by the locals for their religeous belifes, is the Mountain Palace of Sigiriya Sigiriya in Sri Lanka. 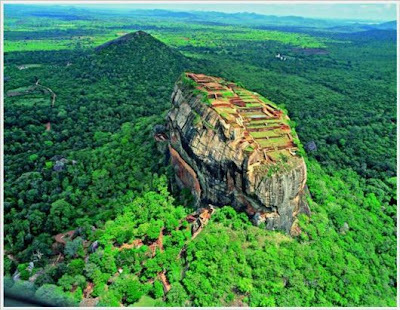 'Sigiriya Sigiriya' in local language means the 'Lion Rock.' Well if you see the majestic rock mountain, one can get the feeling of awe as when sees a jungle lion. 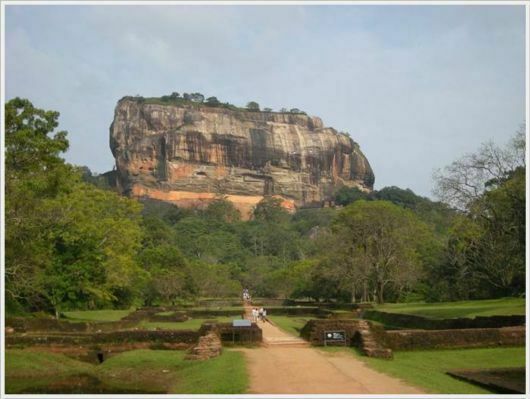 The Sigiriya rock is a hardened magma plug from an extinct and long-eroded volcano. 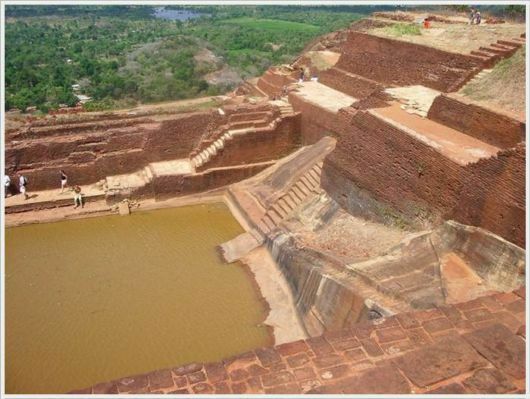 It stands high above the surrounding plain, visible for miles in all directions. The rock rises approximately 370 m (1,214 ft) above sea level with sheer falls on all sides, in many places overhanging the base. The Palace of Lion Rock is the remains of an ancient mountain fortress situated in central Matale district in Sri Lanka. What remains of the once mighty fortress is still a favourite toruist attraction for those interested in mystique places. 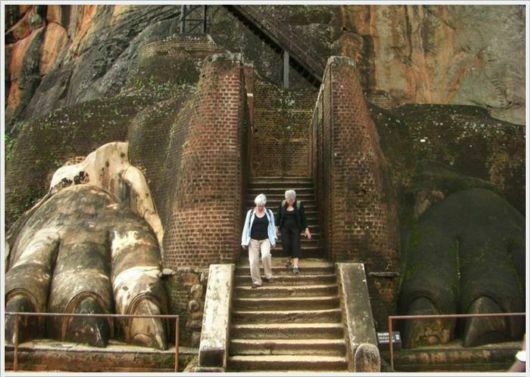 Sigiriya is also known for its ancient images-paintings. The fortress was built during the reign of King Kasap I (477 - 495 AD). 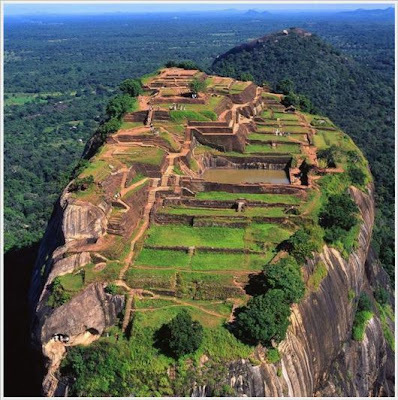 But after his death, the palace was turned into a monastery that continued till the 14th century, when it was abandoned and left to the winds of nature. The original entrance to the palace had lion’s head, that is, to get into the palace, it was necessary to go through the open mouth! Unfortunately, time has not spared as a unique gateway. 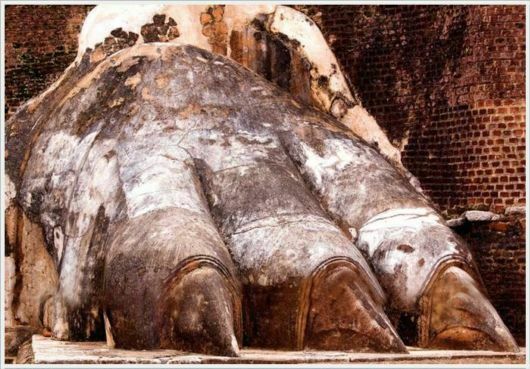 Now only the lion paws as seen above remain. 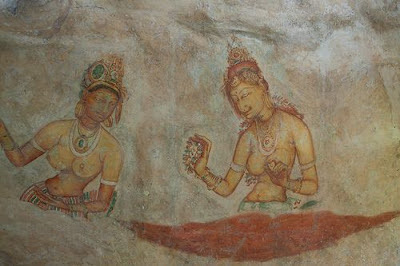 There are many paintings, murals and other craft work inside the palace. 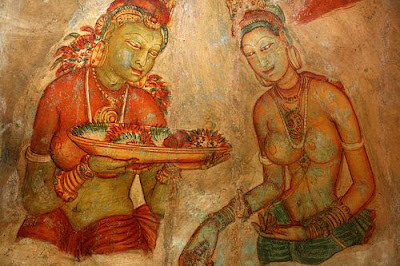 Although much of the art work has been lost to the time and pilferage, some paintings and murals still survive as shown above. 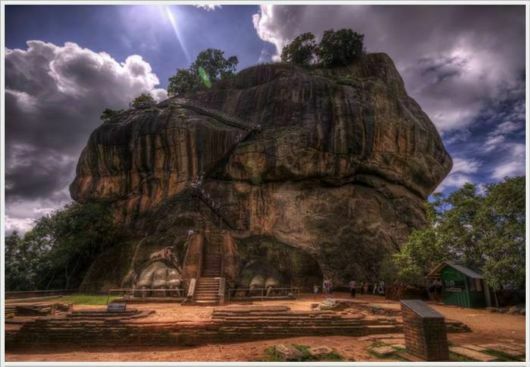 The Mountain Palace of the Lion Rock is now one of the seven world heritage sites in Sri Lanka. 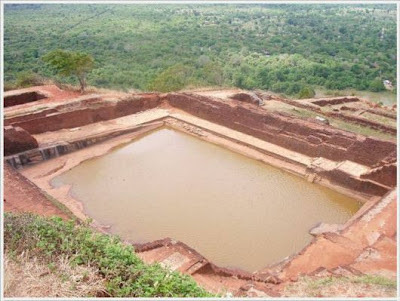 The desolate fortress is now surrounded by the remains of an extensive network of gardens, pools and other structures, which speak volumes of the aesthetics and innovative architectural knowledge of the people centuries ago.